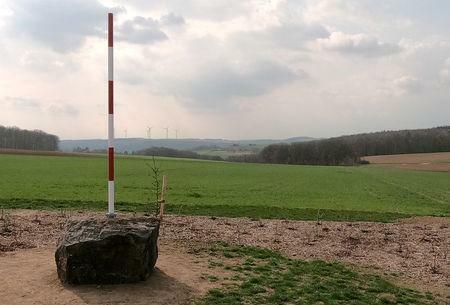 BERLIN (Reuters) - With the clock ticking down to Brexit, a tiny German village is preparing to take centre stage as it becomes the new geographical centre of the European Union when Britain leaves the bloc. It takes about an hour to drive the 55 kilometres from the current midpoint, in the municipality of Westerngrund, in southern Germany, to Gadheim. 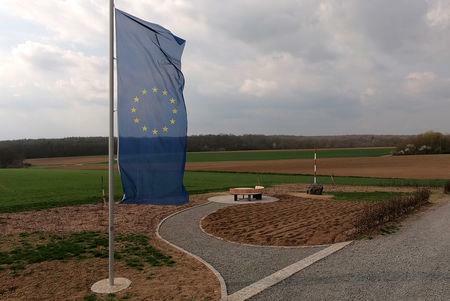 A sign proudly reading the "future centre of the EU" already greets visitors outside the hamlet. For Westerngrund, it will be a sad day when it waves goodbye to the title it gained when Croatia joined the EU in 2013. The exact spot is currently marked with a plaque, a map, and the EU flag, while multiple signs highlight Westerngrund's claim to fame. While the geographical centre of the EU has moved slightly at various times, it has remained in Germany since the European Union expanded from 15 to 25 countries in 2004. "That's clearly a bit difficult. Of course Gadheim has a reason to celebrate, but I think that for Europe as a whole it won't be a good day," he said.